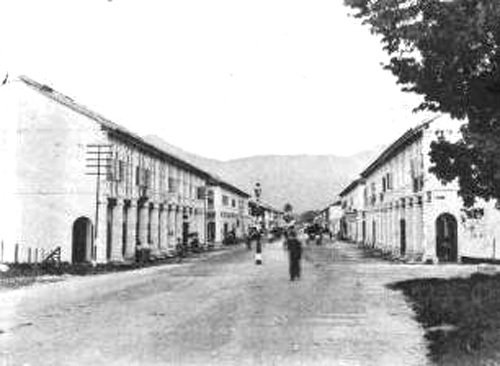 The picture shows Ipoh New Town extending from the Kinta River in 1908. It was built on the padi fields of Datoh Panglima Kinta and as the new buildings were erected from the river towards Gopeng Road, block by block, replacing a number of extremely smelly pigsties. The builder was Yau Tet Shin, miner, property owner and friend of E W Birch (The Resident of Perak). Wong Kap Soot, Yau Tet Shin’s long time business manager and member of the Ipoh Sanitary Board supported him in the endeavour. 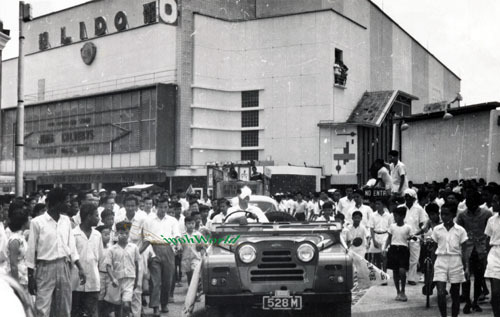 The Ipoh New Town consisted of some 350 houses, with a new market, a mandarin school and theatre all included as anchor attractions. 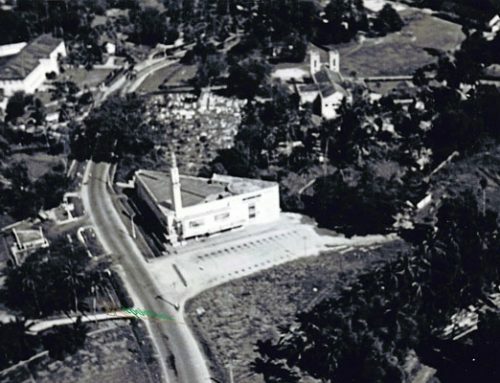 New Town mirrored the Old Town across the Kinta River, but on a well laid-out plan with fine, broad streets coupling with the main thoroughfares of Brewster Road and Hugh Low Street all the way to Gopeng Road and Tambun Road. A Sidestreet in Ipoh…but Where? Hello, Rachel Yau. Perhaps, you are the daughter of either Chai Hin or Chai Fatt. Your late grandfather, Yau Mook Yoon lived in Pinji Park, Ipoh. Your aunts, Hean Yoke (came to UK to do a Nursing Course at St Albans, Herts. ), Pek Yoke, Chai Yoke, please correct if I left anyone out. It is good to reconnect with roots. Hi, my name is Yau Hean Yoke. My father’s name was Yau Mook Yoon. His father’s name was Yau Yok Wah. 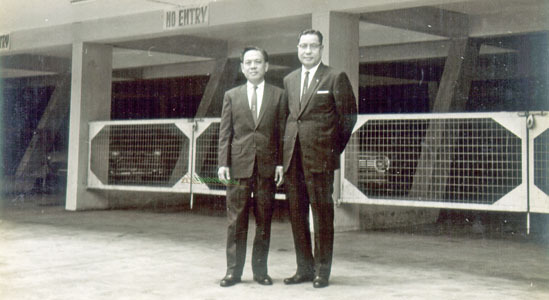 Yok Wah’s father was Yau Tet Shin. Hello, Yau Hean Yoke, I am Yan Cheun. Where are you these days? I now reside in UK. The last time I saw you was in St Albans, Herts. Hean Yoke, sorry correction last time we met was ‘yum cha’ in London in 1972, if my memory serves me well! Maybe meet up for another ‘yum cha’. Good Morning, Hean Yoke. I requested ipohworld admin to forward my contact details to you and hope we may meet up one day. I can still recall your sisters and brothers names. The last time I said cheerio to you and your parents before I left Ipoh. Then, meeting you in St Albans and London. Time passed, ipohworld had been instrumental in reconnecting me with my school chums of ACS, Ipoh from primary to secondary years. I look forward to another successful reunion of childhood friends. I forwarded the email yesterday as requested. I hope you two get together again. Many thank for your efforts. I got home and found in my Inbox an email from Yau Hean Yoke. Truly, ipohworld is commendable as an instrument in reuniting ‘long lost friends’. 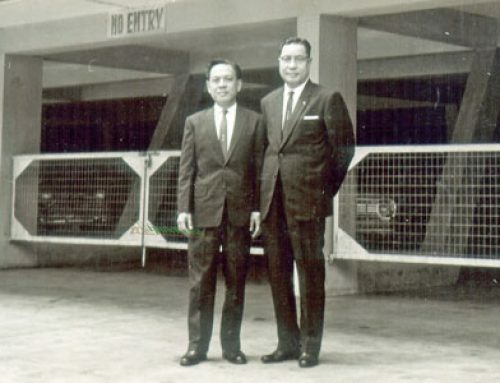 Yau Hean Yoke, were you a pupil of MGS, Ipoh, leaving this school in 1966? If so, we were classmate and would like to get in touch with you again. So nice to hear from the great grand daughter of Yau Tet Shin!! Hello Sook Fun, my grandfather’s name was Yau Tet Shin. My father’s name was Yau Sam Yau a.k.a Yau Yoke Wah the 6th son of Yau Tet Shin. Where are you at now?? Please contact me at my son’s email as above. Anyway your father was my cousin brother (tong kor). 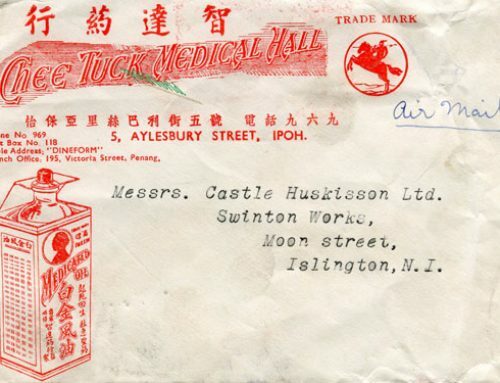 I’m trying to connect back the Yau’s families, and I need to locate my dad’s cemetery in HK somewhere at ‘Sum Shui Po’, which i heard from my mother. Please don’t hesitate to contact me at 017-287-1800. I’m one of the descendants of Yau Tet Shin. I don’t agree of what the gov has done to my grandfather’s market by using it as an ugly car park. May I know how to contact you (Ika). Welcome to our world Rudolf. We do not put our readers emails on the site as it leads to spam mails, but if Sook Fun wants to contact you she can send the first message to me at info@ipohworld.org and I can forward it. How good it is to have two descendants of Yau Tet Shin on our site. Hello Ms Yau Sook Fun, I lived in Ipoh and knew Miss Yau Hean Yoke. She came to UK in the 70s. Y C. As requested by email I have passed your contact on the both Yau Sook Fun and Rudolf Yau Thin Yoon. Do let us know what happens next. I can always be contacted through info@ipohworld.org. Ian, many thanks for your assistance. I shall keep you informed. A few years ago I was in Ipoh and my sister contacted maternal members of my family and it was a good gathering. I hope through this Ipohworld network families can be brought closer. wow…i was browsing through my families roots and this is what i found…bah…mom! !i never knew you were this active on the internet..hmmm..gotta be careful now!! and who is coincidentally the other Ian? Sigh..how i miss Ipoh and home…and my family..
thanks for making this post by the way! Yau Sook Fun, my ex-pupil of MGS Ipoh and now Headmistress of MGS Primary Ipoh! Glad you come out to establish relationship with you historically important family. I am looking forward to the rebuilding of a more important structure to commemorate Yau Tat Shin. Hi, teacher! May I know your name please? Yes, Lee is correct. SY Lee exposed me some time ago! I still like this nick for various reasons. In other blog circles I use UV (U for Uncle being an old man now). Amazing how pictures tell a thousand stories. 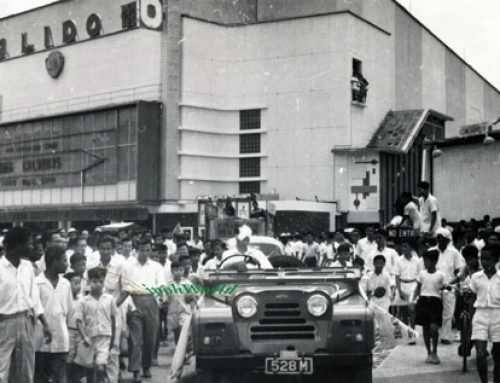 Ipoh New Town looked like a busting area even then! Great Pictures! 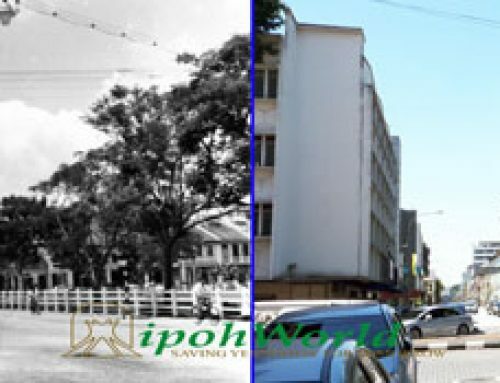 I missed my hometown “Ipoh” since 2001 I moved back to Kuala Lumpur . Thanks for All the good pictures. I have always wanted to know more about Yau tet Shin. I went to china Moyan to learn more about my roots. I manage to get Yau tet shin’s picture and bibliography. My grandma is Yau Kim Xiu, Yau tet shin’s grand-daughter. I do not know much but I am keen to learn more and connect with my relatives. And it’s amazing to see some distant relatives here. Hello Stephen. 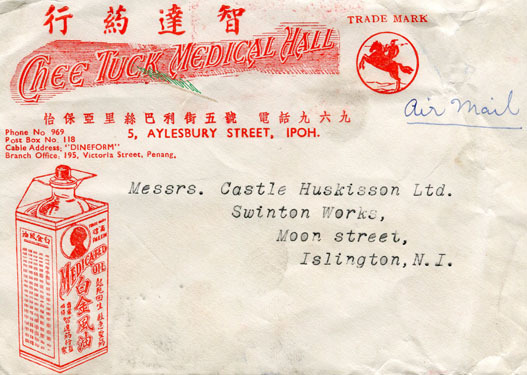 After 42 years, via ipohworld, I have made contact with one of your relatives, Yau Hean Yoke. Keep searching and never give up. So there you have it, Wan Tan Mee – The heaviest meal in the world! Hello……. my name is Yau mun wai and I think I am the 4th or 5th generation of Yau Tet Shin. Would love to learn more about him……. Hi I’m Yau Weng See, daughter of Billie Yau. Billie Yau is the son of Yau Yoke Chee, 8th son of Yau Thet Shin. According to my dad, people call his father Yau Yoke Chee as (8th siew). He married a British lady whom my father claimed cheated all his wealth and was totally broke.